The designs of these models are based on motifs matching the 12 zodiac constellations that sparkle high in the night sky. They are perfect for those who want to call upon the power of the zodiac for self-protection or as a gift for someone special. 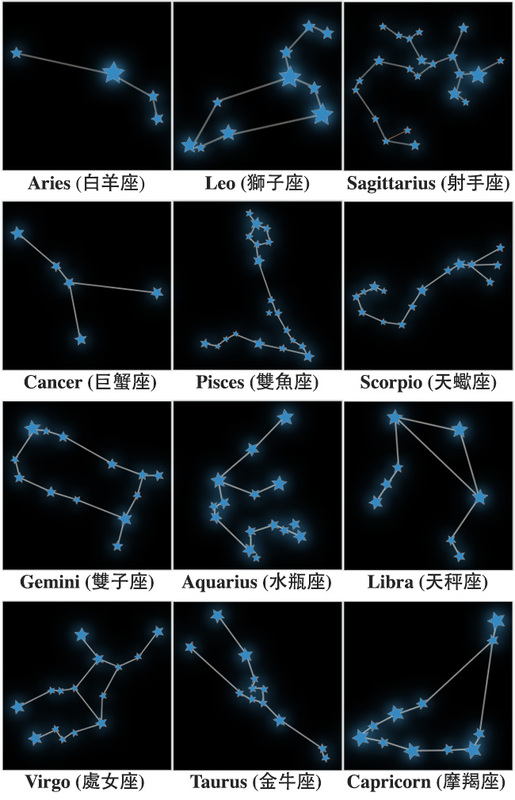 The 12 signs of the zodiac are divided among four classical elements, which are represented by the colors of the faces and bands of the watches: fire (red), earth (brown), water (blue), and air (green). The face of each watch sports a gold-colored representation of a constellation. In addition, the hour numbers that correspond to that constellation's birth months are also done in gold coloring for a truly distinctive design. These models come in a special package decorated with all 12 of the zodiac constellations on a dark, night sky-like background. A message printed on the inside of the package cover invites the wearer to experience the power of zodiac throughout the day.